Created by Brittany Erwin, “Bureaucracy on the Ground: The Gálvez Visita of 1765” examines the localized consequences and on-the-ground implications of the royal inspection, or visita general, administered by José de Gálvez in New Spain from 1765-1771. 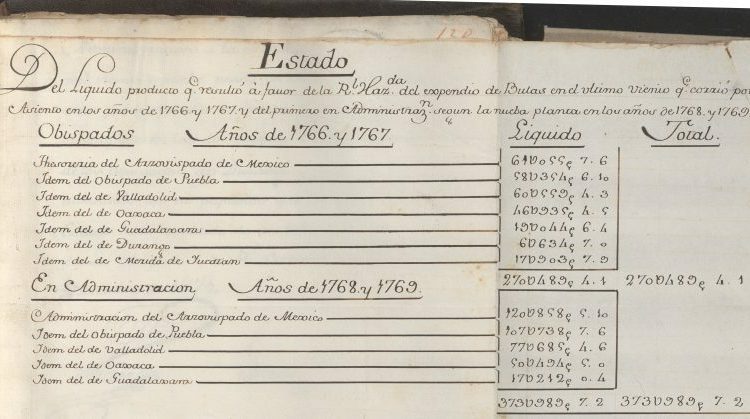 The project includes a curated collection of digitized documents from the Genaro García Collection at the Benson Latin American Collection, blogs, and lesson plans. More on Erwin’s project and The Public Archive here.